Alas, we have reached the massive and renowed Taj Mahal Deep. 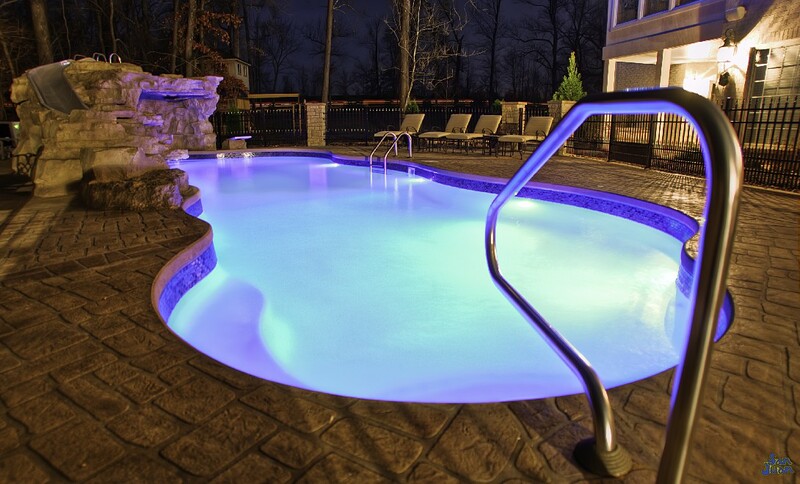 This fiberglass swimming pool was designed by San Juan Pools to be big! How big? For starters, the Taj Mahal Deep includes an 8′ deep end and a total water volume of 20,000 gallons. 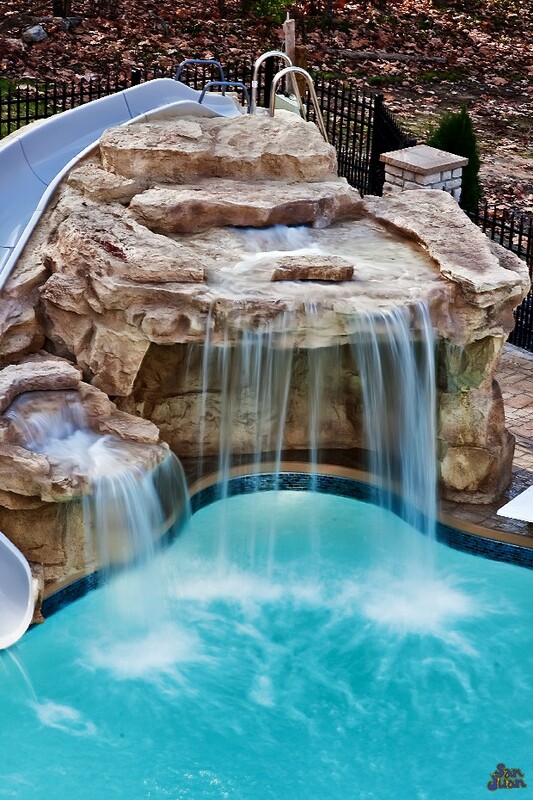 If you’re thinking diving board and water slides, so are we. 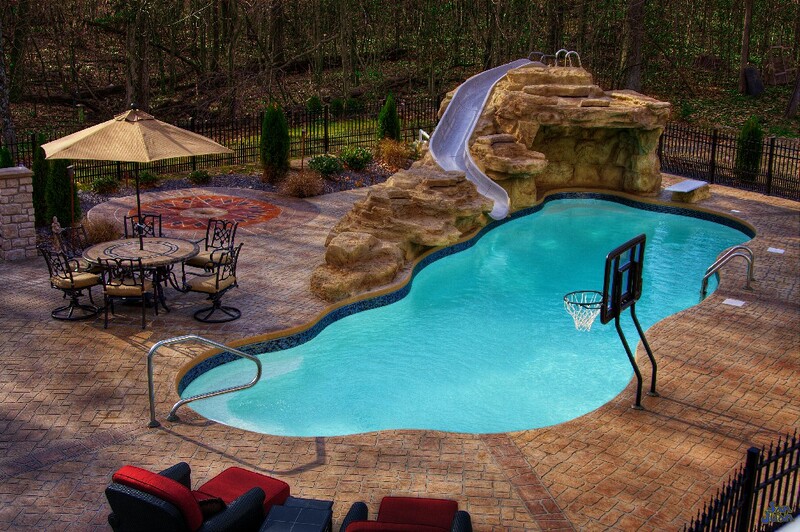 We created the Taj Mahal Deep as a great alternate to our already popular Taj Mahal fiberglass pool. The only difference between these two models (despite their identical appearances) is their deep ends. The standard Taj Mahal includes a 6.5′ deep end compared to the 8′ layout of the Taj Mahal Deep. 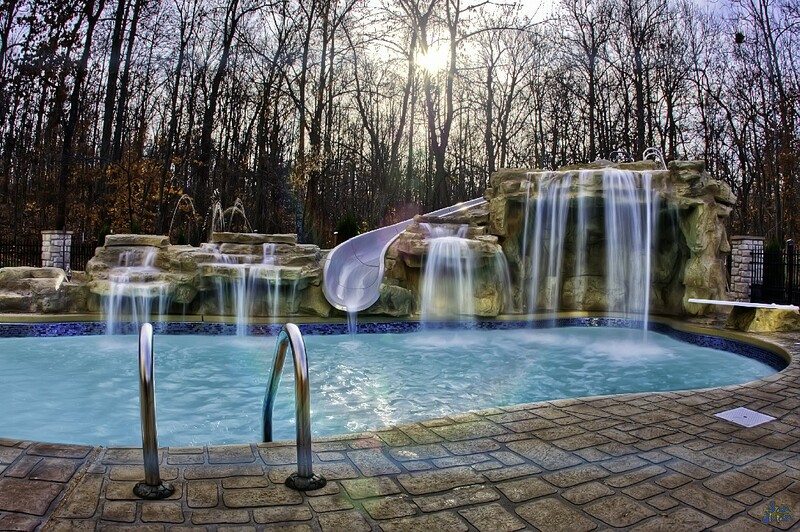 As we mentioned above, the Taj Mahal series is the longest fiberglass pool model that we have to offer. 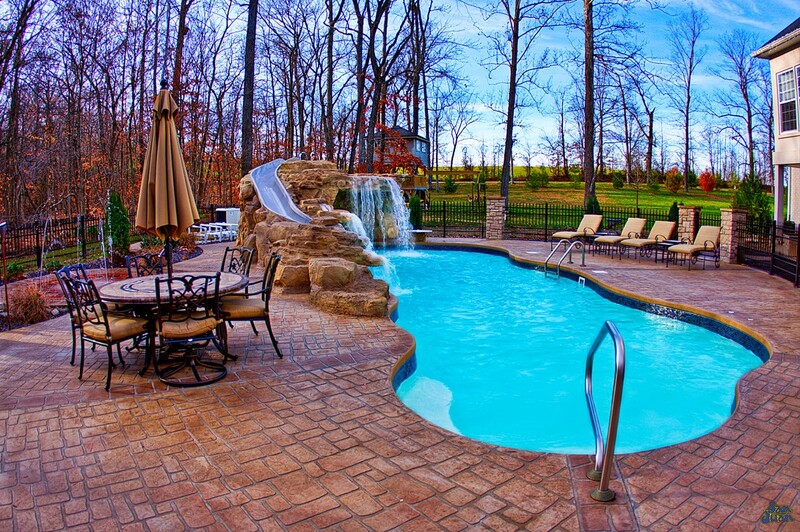 We have other large fiberglass pools that fit into the category of 40′-45′ but this one takes the cake. This is an ideal length for lap swimming and a plethora of water games. 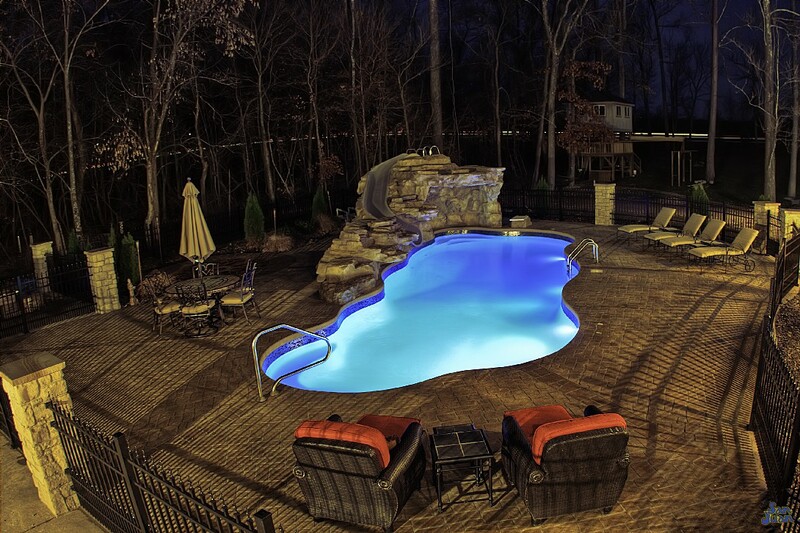 It also creates a safe space for diving off of a diving board by providing lots of room for the diver. After you wade into the Taj Mahal Deep, you’ll be blown away by its total water volume of 20,000 gallons. 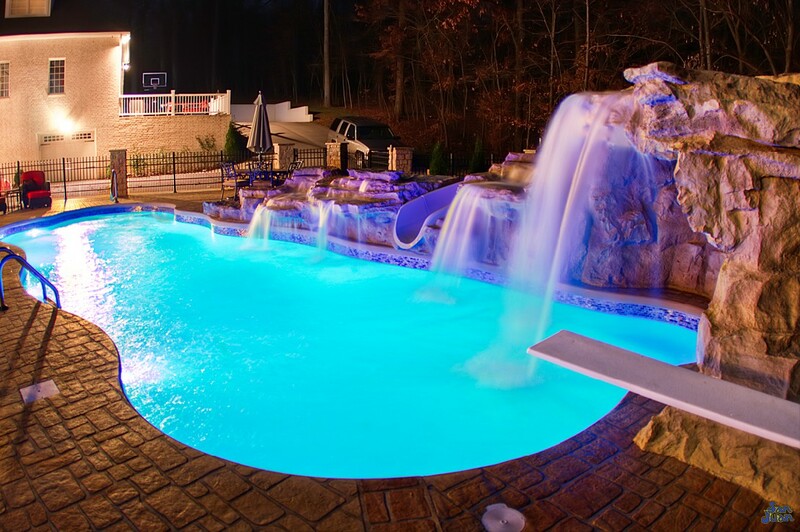 It’s hard to image a fiberglass pool being capable of holding such a massive amount of water. Consider it having to be molded from the factory, shipped on a semi-truck and installed by a crane and crew in the field. It’s a massive undertaking but San Juan Pools has cultivated the Taj Mahal Deep and our other large fiberglass pools to be top notch and stronger than anything else on the market. As you can tell from our images, the Taj Mahal Deep is designed to be upgraded with the newest and greatest technology. 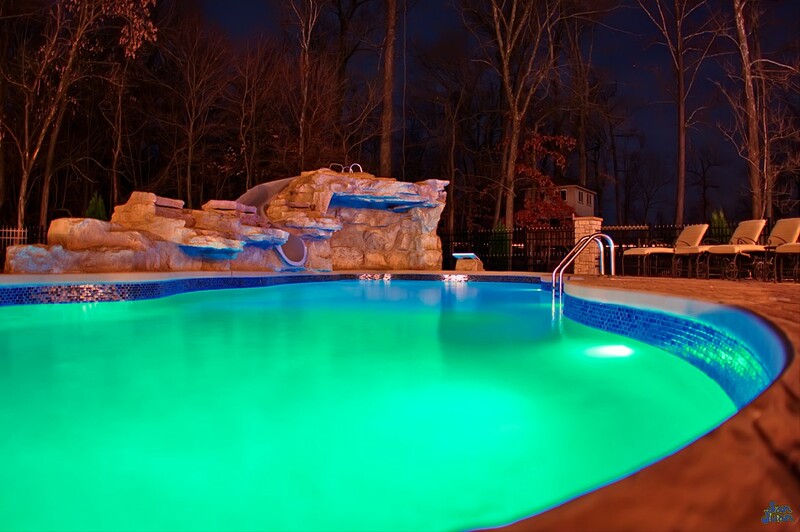 From waterfalls, LED lighting, deck jets, bubblers, diving boards, slides, & much more – it can handle anything you throw at it. In fact, we believe the beauty of the Taj Mahal Deep is revealed the more you dress it up and make it your own. 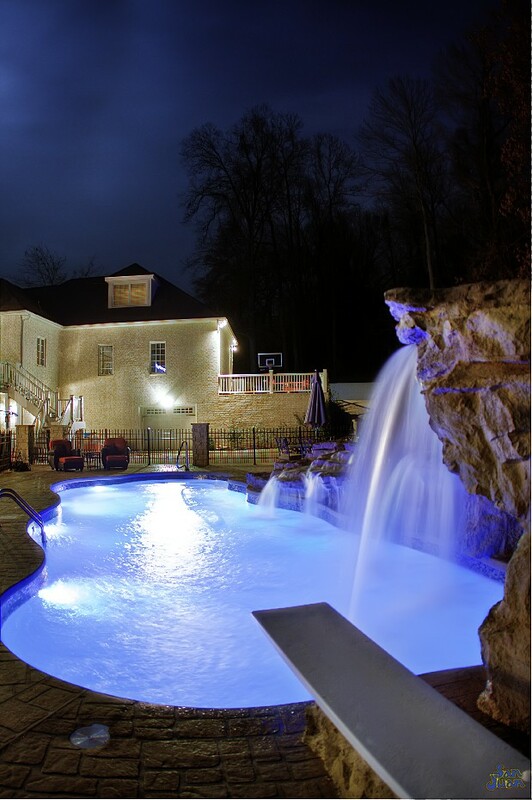 We give you the space to make the Taj Mahal Deep into the backyard oasis you’ve always dreamed up!